Author: Judith Becker (Tax Associate at ENSAfrica). In the 2017 South African Budget speech, the Minister of Finance raised governments concern that the current Controlled Foreign Company (CFC) rules do not capture foreign companies held by interposed trusts or foundations, and it was announced that countermeasures for the treatment of foreign companies held by trusts or foundations will be considered. Treasury, in an attempt to cover these loopholes, has introduced certain changes into the CFC legislation and a section that might have more disadvantages than Treasury intended. 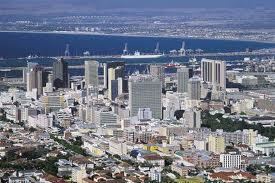 South Africa imposes taxes on worldwide income of residents. The Income Tax Act, 1962 (the Act) contains various anti-avoidance provisions which aim to curb tax avoidance. One of these provisions was the introduction of CFC provisions contained in section 9D of the Act. The CFC rules are aimed at preventing South Africans from shifting income offshore by investing in a CFC. This insertion, aimed at individuals and trusts, would apply where the foreign trust or foundation holds a participation right in a foreign company. In other words, if the foreign trust or foundation had been a South African tax resident, the foreign company would have been a CFC. There are, however, a number of circumstances where certain exemptions and exclusions are applicable and it is not necessary to account for the notional income of a CFC which the proposed section 25BC does not take into consideration. One is called the “foreign business establishment” (FBE) exemption, which means that the foreign company is suitably staffed and equipped to conduct the primary operations of that business. In such an instance, it is not required to include the net profits into the South African shareholders income for tax purposes, but the proposed section 25BC will still tax the amount distributed regardless of the income being linked to the FBE. Reviewed by Okkie Kellerman, an executive in ENSafrica’s tax department.